Nicholas B Dirks, speaking at Doe Library on November 27 2012 after he was confirmed as the 10th chancellor of UC Berkeley. He will be formally inaugurated on Friday. Nicholas Dirks was a bit apprehensive. A few months into his new role as chancellor of UC Berkeley, he found himself in a sea of strident blue and gold, surrounded by hordes of screaming students. Dirks was at the first Cal football game of the season — in the student section. He would figure it out, she said confidently. Yet cheers are the least of Dirks’ concerns. The former Ivy League dean has taken the helm of the University of California’s flagship institution at a time when budget shortfalls are the norm, research funds are dwindling and students are restless for amelioration. Dirks will be formally inaugurated Friday, succeeding Robert Birgeneau as UC Berkeley’s 10th chancellor. Dirks, who took office in June, has already begun working toward establishing himself as the students’ chancellor. He has thrown himself into meeting with students and faculty to hear concerns about the campus and has worked tirelessly to promote UC Berkeley’s brand nationwide and abroad. “I think that he’s coming at a time when the university has gone through some hard times,” said Tyler Stovall, dean of the undergraduate division of the campus College of Letters and Science. Dirks, however, says he is up to the challenge. In an interview with The Daily Californian last month, Dirks said it is UC Berkeley’s unique struggles and triumphs as a public university that drew him from Columbia University, where he served as executive vice president and dean for the faculty of arts and sciences. Dirks, who is known to peer over the rim of his Harry Potter-style glasses from beneath thick eyebrows, entered academia as a scholar of history and anthropology with a focus on British colonial rule in India. Dirks spent part of his childhood in the South Asian country when his father, a professor at Yale University, received a Fulbright scholarship to conduct research there. Dirks followed in his father’s footsteps, arriving at Columbia University in 1997 and serving in various roles at the university until he received his latest appointment at UC Berkeley last year. He brings along his wife, Janaki Bakhle, now an associate professor of the campus department of history, and his teenage son, who remains for most of the year at a boarding school on the East Coast. An adult daughter from a previous marriage works at a public radio station in San Diego. Although Columbia is a private institution in the hallowed Ivy League, Dirks said it has much in common with UC Berkeley, especially its commitment to diversity. He has publicly spoken in support of affirmative action policies since becoming chancellor — just one of the many ways he has shown himself engaged in undergraduate life. Following the decision of the U.S. Supreme Court to send Fisher v. University of Texas at Austin — a case that considered the constitutionality of using race in university admissions — back to lower courts, Dirks responded by praising the court’s acknowledgement of the educational importance of diversity but deplored the “unfortunate consequences of state law that precludes the consideration of race even in the context of a holistic admissions review” in California. Although he hails from a private school, Dirks says he values the “palpable sense of the importance of the public mission” that exists at UC Berkeley. It is the concerns of these students that Dirks has prioritized since his arrival on campus. Dirks has already transferred some of the aspects of Columbia’s more intimate atmosphere to UC Berkeley, including regularly hosting small groups of students for “fireside chats” — chats that are largely one-sided, as Dirks spends much of them listening attentively and taking notes. “I’ve heard really poignant examples of needs that have been addressed and certainly have been part of the commitment that my predecessor had but which will require even more attention and even more support,” Dirks said. His communication with students is welcome news for those who were critical of what some said was former chancellor Birgeneau’s inaccessibility to students. Dirks and the presidents of the ASUC and the Graduate Assembly have established a new precedent by holding meetings without the presence of other administrators. This has allowed student leaders to feel more comfortable sharing honest opinions, Pepito said. After an explosion and power outage in September, for example, Dirks and Pepito are working together to build an emergency protocol review adjustment plan, according to Pepito. “I think during his short time here thus far, he’s already created a cultural change on our campus of how much the student voice, student opinion and student concern is elevated and listened to,” Pepito said. 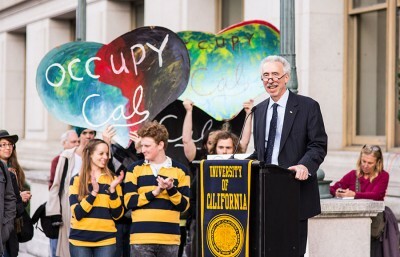 Dirks is perhaps trying to avoid the criticism his predecessor drew from students and others for his handling of the Occupy Cal protests in 2011, especially for what many saw as a lack of response to police aggression against protesters. Perhaps the most noticeable difference from Columbia is the financial limitations at UC Berkeley, an obstacle Dirks will likely grapple with for the foreseeable future. “We’re working very hard to try to secure adequate funding, and I would love to see more than just what we have now, which is the stability of funding from the state,” Dirks said. In times of decreased state funding, fundraising has proved to be all the more crucial in supporting the university. 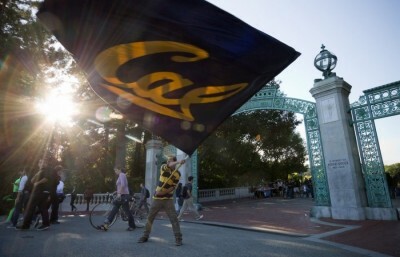 The Campaign for Berkeley, a philanthropy project launched in 2008, had raised $2.96 billion as of Aug. 31. State divestment from public education is one of the biggest reasons the campus must rely on more creative forms of funding. About 30 years ago, in 1981, the state of California funded 52 percent of the university’s budget. Today, the state supplies only 12 percent. 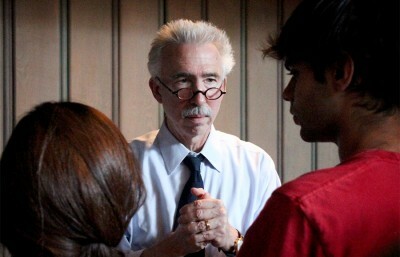 “Even with the passage of Proposition 30, even with the support of the governor and the Legislature, we still have a huge backlog of needs that have arisen because of the extent to which the budget has just simply changed so dramatically,” Dirks said, referring to the proposition passed by California voters in November 2012 that prevented a midyear tuition increase. Dirks’ responsibilities, however, go beyond just raising funds — they include raising UC Berkeley’s profile away from campus as well. Since his arrival, Dirks has thrust himself wholeheartedly into promoting the “Berkeley brand.” He has visited Washington and Sacramento on multiple occasions to establish valuable relationships with members of Congress from California and national political representatives. Recently, he visited the White House to talk to one of President Obama’s principal advisers about showcasing UC Berkeley’s efforts for diversity and about the president’s college scorecard — an initiative that will rank colleges based on value and other criteria. Dirks criticized parts of this initiative, saying the college rating system should not factor in the earnings of graduates — as is currently proposed — because this would disadvantage schools whose graduates take lower-paying service jobs, such as many UC Berkeley students who choose to enter the public or foreign service. Such proclamations align well with UC Berkeley’s reputation as an institution focused not just on teaching or research but also on public service. Although new, Dirks already seems to have embraced the campus’ unique spirit — and the campus has so far embraced him back. Elizabeth Deakin, chair of the Berkeley Division of the Academic Senate, who works closely with Dirks, agreed.